Root Canal Treatment is needed when the nerve in the tooth is affected by a cavity or infection. In order to save the tooth and restore it to proper form and function, the nerve must be treated to remove bacteria. The nerve is inside the root in a canal. When treated the canal is filled with a filling material. After a root canal is completed the tooth often needs a crown to provide adequate support during chewing. 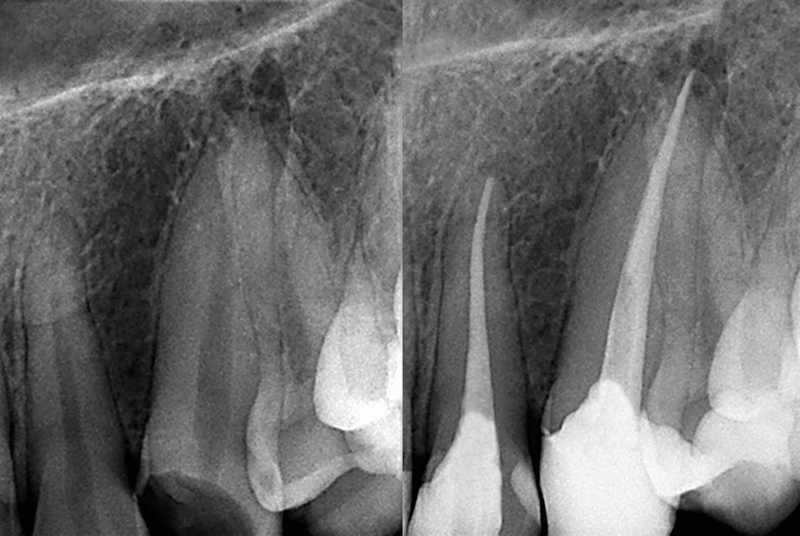 Root canal treatment is very successful over long term, provided there is enough tooth structure remaining. If you notice a large cavity or experience tooth pain that starts randomly speak to the dentist to have the tooth evaluated.